The Missouri Foundation for Bicycling and Walking is pleased to announce that the Safe Routes to School National Partnership selected Missouri to participate in the 2010 and 2011 phase of the State Network Project. Nineteen states and the District of Columbia were chosen to participate in this project, which is being funded by the Robert Wood Johnson Foundation, Kaiser Permanente, and the Centers for Disease Control and Prevention. The Missouri Network will work to increase physical activity among all students, ensure that federal SRTS funds are spent on quality projects, work to leverage additional state resources for SRTS initiatives, and advocate to remove barriers to walking and bicycling to schools through policy initiatives. The 2010-2011 phase of the State Network Project also includes a focus on serving lower-income populations and reducing crime. The specific policy efforts of the Missouri Network will be developed and achieved by working collaboratively with partner organizations and agencies. Please contact Brent Hugh at missouri@saferoutespartnership.org to express your interest in attending our kick-off telephone meeting on January 26th at 9:30 a.m. We invite government agencies, policy makers and non-profits from around the state working on health, equity, transportation, youth, environmental and smart growth issues to join us. Robert Ping, State Network Director for the Safe Routes to School National Partnership says, "The State Network Project has been very successful in bringing together partners to change state level policies that are resulting in opportunities for more children to walk and bicycle to schools safely. We're honored and excited about expanding this project, and the impact that it will make towards the goal of reversing childhood obesity by the year 2015. We encourage state agencies, policy makers and non-profits to join us in launching this new project." Additional funding in support of the Network has been pledged by the Missouri Foundation for Health, the Incarnate Word Foundation, the Regional VII Office of Minority Health, U.S. Department of Health and Human Services, and the Missouri Bicycle & Pedestrian Federation. 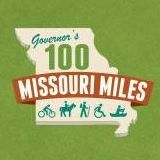 "The response from agencies and organizations from around the state who want to work together to make bicycling and walking better and safer for Missouri children is just amazing. The state network is a great opportunity for organizations from around the state to work together with state and federal agencies like MoDOT, which is investing millions of dollars in better infrastructure around schools under its own Safe Routes to School program," says Brent Hugh, State Network Organizer for Missouri. "We have the chance to make a real difference in the health and safety of Missouri children." To find out more or to get involved in the Missouri Safe Routes to School Network, just email missouri@saferoutespartnership.org.